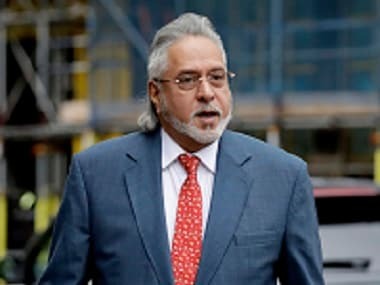 resumed in London on Monday to determine if he can be extradited to India to face charges over his erstwhile Kingfisher Airlines. The 61-year-old will be back in the dock at Westminster Magistrates' Court in London for day four of the hearing when his defence led by barrister Clare Montgomery, is set to depose two further witnesses in its attempt to prove that the airline's alleged default of around Rs 9,000 crore worth of bank loans was the result of business failure rather than "dishonest" and "fraudulent" activity by its owner. Meanwhile, it has emerged that the businessman is also facing a parallel litigation in the Queen's Bench Division of the commercial court in England's High Court of Justice brought by a consortium of Indian banks to freeze his global assets. applicants of that claim against Mallya and related concerns named as Ladywalk LLP, Rose Capital Ventures Ltd and Orange India Holdings. Lawyers for Mallya have been granted an extension to respond to that case due to his ongoing extradition trial, expected to conclude on Thursday. Margaret Sweeney, from the accounts team of Force India Mallya's Formula 1 racing team, and legal expert Martin Lau are set to be deposed by his defence team at the extradition hearing on Monday. Judge Emma Arbuthnot will hear the case over some "interruptions" as Uber's appeal against the cancellation of its operating license in London is expected to open in the same court. on 6 April, 2016 should have been "dismissed out of hand" just a day later by the banks. Paul Rex,who was described as a banker by profession who served as an independent expert in the field for over 20 years, said that banks tend to partially provision for loans unpaid over a long period and such an offer would have helped avoid "further loss". "A commercial bank would assess such an offer against other routes of repayment. If that offer is higher than could be expected from other sources, it would be an attractive option for banks to consider," he said, adding that state-owned banks in particular tend to be more susceptible to "political pressure". However, the Crown Prosecution Service (CPS) arguing on behalf of the Indian government countered that assertion in its cross-examination, indicating that the reason such a repayment offer would have been rejected was that the banks knew Mallya had the means to pay back the entire amount due. There are plenty of reasons why even a state bank may take a view to reject such an offer, such as if it comes from a "dishonest" person who is known to have "plenty of money to repay" the entire amount if he wants to, CPS barrister Mark Summers stated during his cross-examination. He also made a reference to the "debtor" (Mallya) throwing a birthday party costing around 2 million pounds as a factor which could have influenced the banks' decision to reject the offer. The cross-examination of Rex was left incomplete at the end of the third day of the trial last Thursday, to be taken up again on Tuesday afternoon. In his cross-examination, Summers had highlighted a particular "washing machine activity" picked up by the government of India that involved sums amounting to around 10-15 million pounds being funnelled between UB Group companies to wrongly claim obligations of equity infusions into struggling Kingfisher Airlines were being met. Indian government sources have described its case, being presented by the CPS, as "very strong". Mallya's legal team had claimed earlier in the trial that the case against him was "politically motivated" and that it was being used as an opportunity to make "political capital" by the ruling BJP as well as Congress and Shiv Sena. The prosecution's case rests on "three chapters of dishonesty" by Mallya misrepresentations to various banks to acquire loans, the misuse of the loans, and his conduct after the banks recalled the loans. 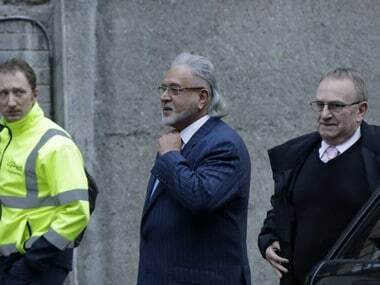 Mallya, who has been based in the UK since March 2016, was arrested by Scotland Yard on an extradition warrant in April this year and has been out on bail on a bond worth 650,000 pounds. If the judge rules in favour of extradition at the end of the trial, the UK home secretary must order Mallya's extradition within two months.